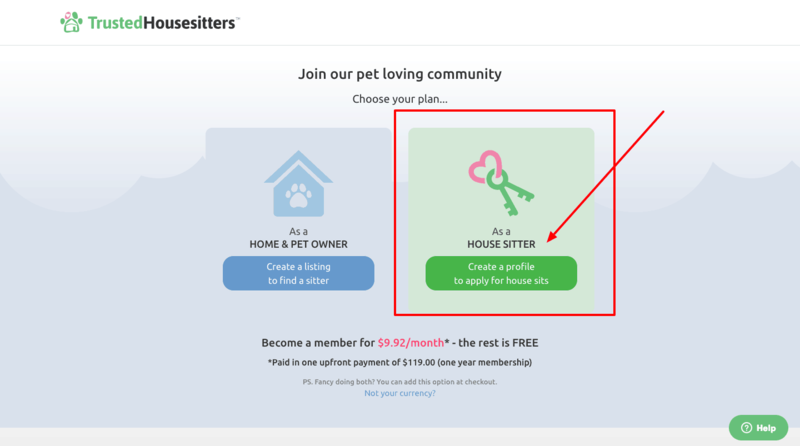 Since it’s the website I use as a house sitter, I wanted to write a TrustedHousesitters review to let you know how I’ve saved an estimated $1,700 (and counting!) by house sitting while I travel! If you haven’t tried this yet, seriously consider it. *This post contains affiliate links, which means I may receive a commission (at no extra cost to you) if you decide to purchase through a link I provide. Thank you for supporting my work! You take care of someone’s house (and often, pets) while they’re away. In exchange, you get free lodging in a cool town you wanted to visit. Sometimes, you even get paid to house sit, but I haven’t charged yet. For me, it is enough to get free accommodation and hang out with awesome pets. When I started seriously considering house sitting back in 2014, I kept looking for the best house sitting site out there. There are many sites that, for a membership fee, let you search for house sitting assignments and apply to be a house sitter for a particular gig. 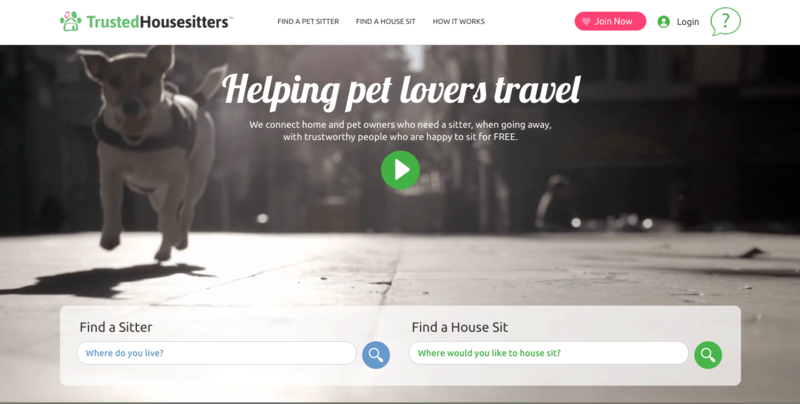 During my research, TrustedHousesitters constantly came up as one of the best, so I decided to give them a try. At the time, in August 2014, an annual membership cost me $89.88. Today that same membership is $119, just FYI. When I signed up for the site, I was living in Cusco, Peru, and really wanted to visit my old stomping grounds in the San Francisco Bay Area…which also happens to be one of the most expensive places in the U.S. This made the visit nearly impossible. That’s where TrustedHousesitters came in. I signed up for an annual house sitter membership and immediately started looking at listings in the area. I had lived in the San Francisco Bay Area in the previous year, but had never had a chance to explore this posh area in the Redwoods just north of the Golden Gate Bridge. My assignment was to care for the world’s friendliest Golden Retriever and a cranky but cute cat while their owners went away on a work trip for 5 days. I drove up to their house the day before the homeowners flew out, so I could get acquainted with their pets and go over all the specifics. This was extremely helpful and put us all at ease. I made sure to take detailed notes on the pets’ feeding schedules and what to do in case of an emergency. The homeowners left me emergency contact numbers as well on a paper on the kitchen counter. Their home is a beautiful two-story townhouse nestled deep in the Redwoods, yet walking distance to coffee shops, stores, and restaurants downtown, so it was the perfect getaway. I also totally fell in love with and bonded with their pets. Every day I sent an email to the homeowners with photos of their pets and letting them know what we did that day. They had NOT asked me to do this; I only did it because it was their first time using a house sitter and I knew they were nervous about their pets. They thanked me for this and enjoyed it immensely. After this house sit, I now consider the couple good friends—and they asked me back to house sit for them two more times! One time was a 2-week stay. I miss their pets so much and love knowing I now have new friends in Marin County. In January 2015, I contacted homeowners in Portland about house sitting and caring for their adorable Corgi mix. I had always wanted to see Portland (I’d never been!) and I LOVE Corgis. It seemed like the perfect match. I heard back from them within a day of messaging them. We set up a Skype call so I could virtually meet the husband and wife and their Corgi mix. The call went great and I felt very comfortable with the assignment. This assignment was a little more formal in that they asked me to sign an agreement, and they used the template that is provided by TrustedHousesitters. I was happy to do this, as it not only protects the homeowner but also me, and I like having everything in writing so we all know what to expect. After signing the agreement, I booked my flight to Portland. The entire process from the moment I sent the message to apply for the housesitting assignment to the moment I booked the flight took about 2 weeks. I landed in Portland the day before the homeowners left for their trip so I could get acquainted with their apartment and their dog. The couple picked me up from the airport (super nice of them, and not expected at all!). They took me to their apartment and showed me around. Then we went for a walk with their dog so I could get used to his quirks and learn his favorite places to go in their neighborhood. After that, it was late, so they set me up with an air mattress, pillows, and a blanket in their living room since they had only one bedroom. The next morning they got up super early to catch their flight. They changed out the sheets on their bed, and when they left, I switched to their bed and slept the rest of the morning with their pup curled up by my side. Their apartment was in the trendy SE Division Street neighborhood in Portland, literally STEPS away from the best restaurants, stores, coffee shops, and of course, food trucks! I fell in love with Portland by staying here and can’t think of a more perfect neighborhood I could have stayed in. For this cost comparison, I chose the Jupiter Hotel, which is the cheapest private-room hotel I could find in the general vicinity of where my house sit was. It’s got a great location within walking distance to bars and restaurants, but it’s still not as good as the location I was in, SE Division Street. That area doesn’t have any hotels, so I may not have had a chance to stay in what I think is the BEST part of Portland had I not had this house sit! You don’t have to buy a membership to search house sitting assignments—that part is FREE! But buying the paid membership will allow you to view more details AND actually contact the homeowners and apply for the house sitting assignment, so it’s well worth the cost. Type a city or country you’d like to house sit in. You can use the map feature to zoom in and look at different areas. 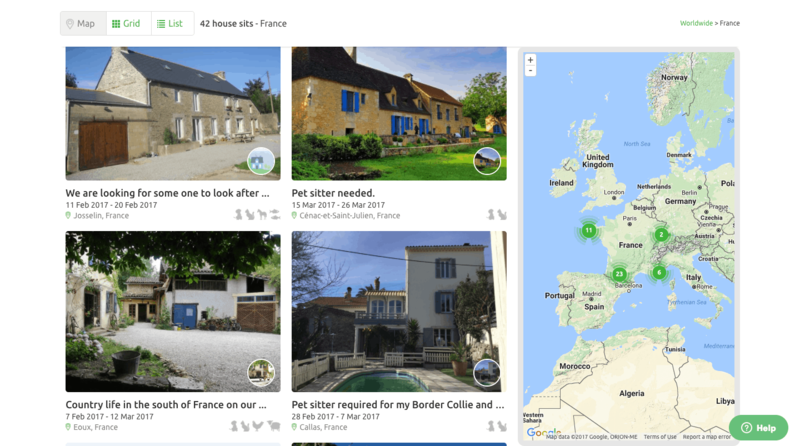 Without a membership, you can see the listings in an area, along with their featured photo, the dates of the house sit, and the location. To see all the details and be able to contact homeowners, you need to buy a TrustedHousesitters membership. Step 2: Purchase a TrustedHousesitters membership. Be as detailed as possible, add quality photos, and build up trust! Step 4: Send messages to homeowners to apply for their house sitting assignment. Step 5: Set up a Skype call or phone call to “meet” the homeowners and pets. If they respond back, it’s always good to set up a followup call to get to know them better. Step 6: Hammer out details via email so you have record of it. OPTIONAL: Sign an agreement, which you can find a template for on TrustedHousesitters. What date will you need to arrive? Usually homeowners want you to arrive at least one day before their departure so they can show you around the house and let you meet their pets. What date will you need to leave? Some homeowners are extra generous and let you stay an extra night or two if it means a cheaper flight out for you. Who can you contact in case of an emergency? Make sure you find out if the homeowners will be within reach while they’re away. If not, find out who you should call in case of an emergency. Even if you can contact the homeowners, it’s still a good idea to have an emergency contact who is IN THE AREA just in case. Is there any area of the house or particular items in the house that are off limits? Generally homeowners let you use their washer and dryer and toiletries, but you need to double check ahead of time and see if that’s okay. You don’t want to just grab food out of their fridge if they’re not okay with it. Also, make sure you find out if there are any areas of the house they don’t want you to use or they don’t let the animals inside of. What is the contact info for the veterinarian? In case their pet gets sick, you’ll need to know which vet to take them to. Does the pet have up-to-date vaccinations? Does the pet need any medication or have any medical issues, allergies, or quirks you should know about? 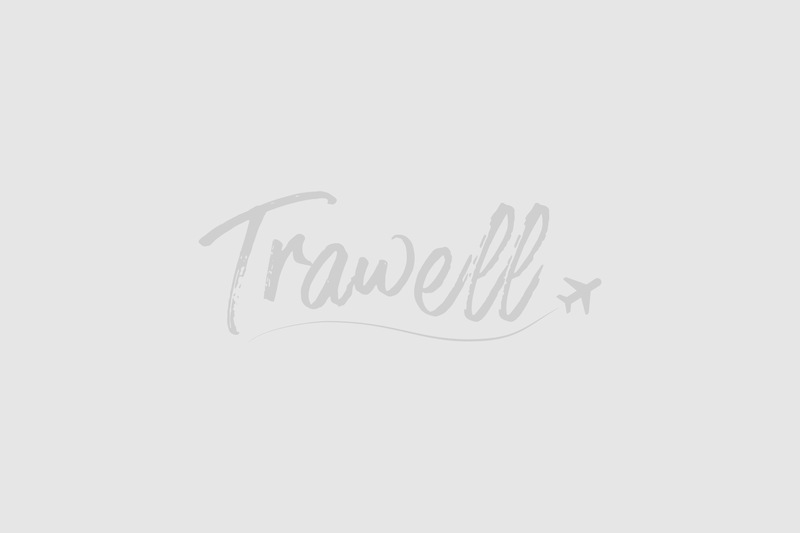 Step 7: Book your flight! Once you have confirmed your arrival date with the homeowners in writing, go ahead and book the flight. Send them your flight details as needed. Step 8: Enjoy your house sitting assignment! When you arrive at their house, it’s a good idea to go over important details once more, such as their pet’s needs/schedule, what’s off limits in their house, who their emergency contacts are, etc. Filling out my profile was a challenge because I had never actually house sat before, so I didn’t have much experience to list. For the references section, I asked the owner of a guesthouse I lived at for a month to write a review for me. I also asked a friend to leave a review since I stayed at her house while she was gone for two weeks. I added lots of photos, particularly ones of me with animals to show that I love pets and have experience taking care of them. 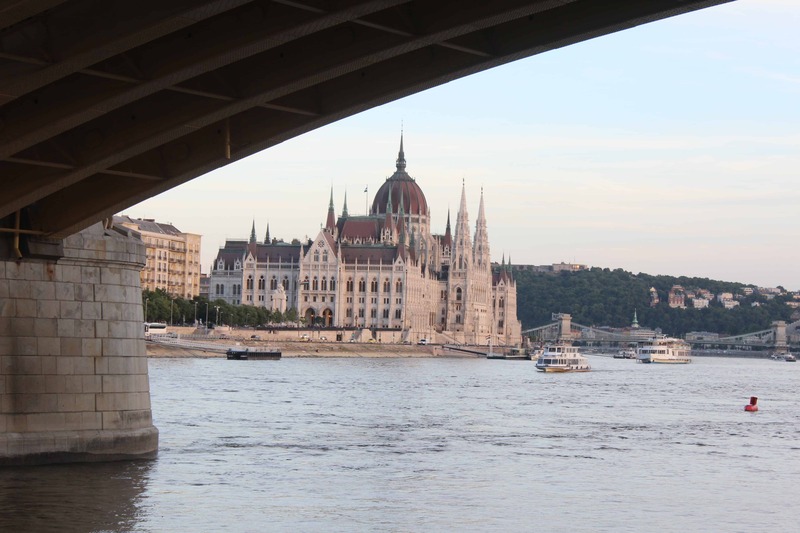 You can experience a city like a local. While there won’t be room service, a lobby, or housekeeping, staying in an actual home allows you to live like a local (my favorite kind of travel!). You can save money on hotels. Next to flights, accommodations are often the biggest expense of a trip (especially for long-term travelers). Being able to stay at someone’s house cuts costs. You get to hang out with ADORABLE ANIMALS. You’ll meet some AMAZING homeowners. I’ll never forget being invited into the home of the couple in Portland and allowed to stay two extra nights with them. The wife pulled out photos from their past travels and stayed up with me late one night to tell me stories of how they backpacked around Southeast Asia. Then we got breakfast and dinner the next day together. It’s moments like those that make house sitting truly meaningful, and NOT just a way to “travel for free.” I’ve met incredible pets and humans through house sitting. You can’t leave the house for as long as you want. Unlike when you stay at a hotel or Airbnb, you can’t be gone for too long when you’re pet sitting—you’ve got to care for the pet after all! Whenever I pet sit for a homeowner, I ask them how long their pet is used to being alone. In Marin County, they told me their Golden Retriever could be left for a maximum of four hours, so I made sure never to be gone longer than four hours. Granted, this works fine for me because I work from home. If you have a job to go to or sights to see, this may not work well for you. It’s a big responsibility to care for someone’s pets and home. For some people, pets are family, and I take that very seriously when I pet sit. And obviously, a home is very important to someone. Some people may not feel comfortable with that much responsibility on their hands. You have to plan your trip around the homeowner’s trip. If you’re going to house sit, you’re going to have to be flexible. Every time I house sit, I don’t know till last minute when I can purchase my plane ticket and I have to be accommodating to the homeowner’s schedule. I wouldn’t feel right writing this review without addressing safety concerns. Since I travel solo, I know it can be off-putting to some to consider staying with people they don’t even know. Personally, I’ve never felt unsafe during my house sits. I do recommend taking safety precautions though. Talk to the homeowners on the phone or via video chat before agreeing to the house sit. If anything feels “off,” trust your gut and don’t do the house sit. Before you start your house sit, send the homeowner address and contact information to a trusted family member or friend so they know where you are and who you’re house sitting for. While there’s no way for you to see reviews on the homeowner (see my critique below), you can see if someone has house sat for the homeowner via TrustedHousesitters before by looking at the homeowner’s profile. It’s comforting to me to know that others have accepted sits for them before. Again, see my critique below because I think it’d be even better for house sitters to be able to see reviews on homeowners. 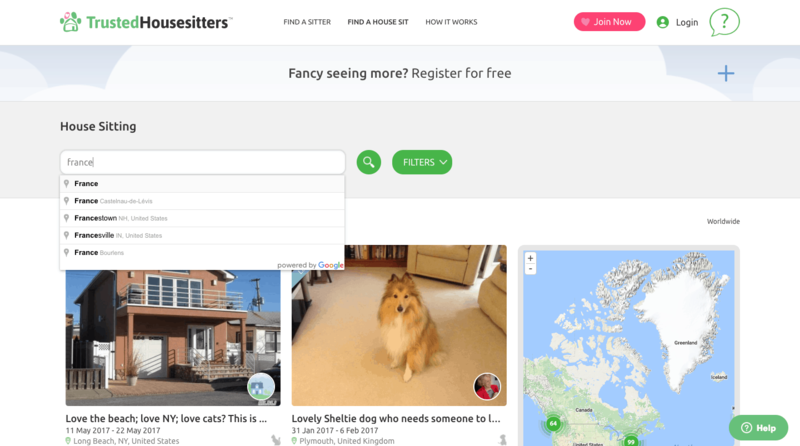 Recently TrustedHousesitters started showing the profile photos and names of previous house sitters on listings. What I would love is to be able to see reviews from those house sitters about the housesitting assignment. Currently there is no way for house sitters to leave a review for homeowners. Only homeowners can leave reviews of house sitters. Whenever I review a product, I want to try to be as unbiased as possible. So I researched criticisms of the site for this TrustedHousesitters review, and thought I’d share my own experience in regard to the critiques expressed by others. My rebuttal: I only ever found house sitting assignments when I contacted the homeowner—not the other way around. In fact, my entire time (2 years) I’ve had a TrustedHousesitters membership, I have only ever been contacted by a homeowner one time, and it didn’t seem like a legitimate offer, so I didn’t reply. If you want to land a house sitting gig, in my experience, it’s best that you actively pitch homeowners. My rebuttal: $100 is not an “expensive fee” considering I saved about $1,700 by landing free accommodations thanks to this site. 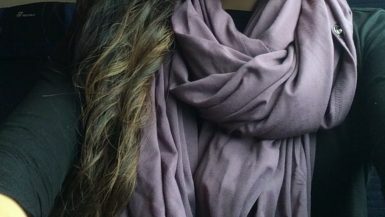 My rebuttal: When I landed my first house sitting assignment through TrustedHousesitters, I was 24 years old and had no prior house sitting experience. I have never felt discriminated against for being young. While yes, it seems like most homeowners would want an older couple because they might think it means they’re more responsible, I think if you can show you are responsible through a detailed bio with relevant references, you’ll be golden. 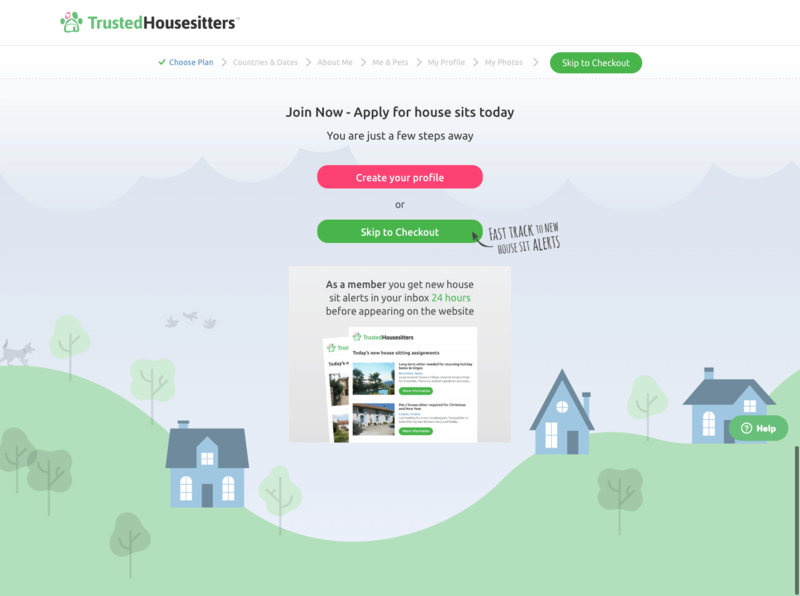 Still Unsure of Whether You Should Use TrustedHousesitters? 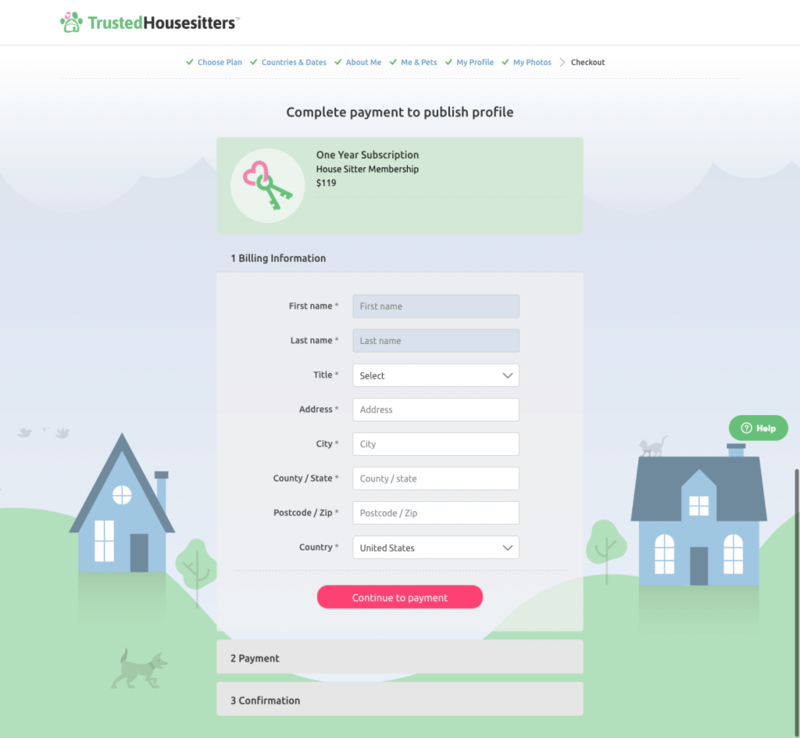 Here’s what I’d recommend: Go to TrustedHousesitters and take a look at the house sitting assignments. It is FREE to search for house sitting assignments. You only have to pay if you want to be able to view the details and apply for the assignment. If you see something you might like, I’d recommend buying an annual membership because landing just ONE house sit will more than pay for the membership fee of $100ish. I hope this TrustedHousesitters review helped you understand a bit more about why I love using this site to save on accommodations when I travel. Remember, I was able to land my first house sitting assignment within a few days of signing up for TrustedHousesitters, and I had no prior formal house sitting experience! What’s most important is that you prove you are trustworthy and reliable from relevant references and address any concerns the homeowner may have through followup emails and Skype calls.